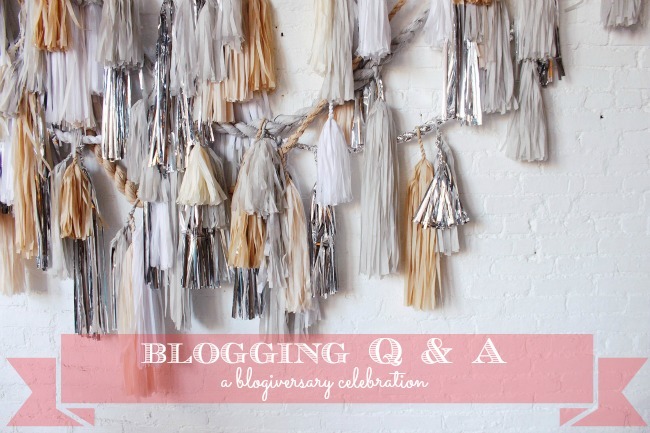 with my blogiversary coming up monday, i thought it would be fun to talk a little bit about blogging. Julie from An Anchor for the Soul did this post a few months back and i decided to use the same questions. see her post here. typically i blog from two places: at home in my reading chair or at my desk at work. but occasionally, i'll have an idea for a post and i'll log onto blogger and type it out right on my phone, wherever i am. then once i get to a real computer, i can edit, add photos, etc. whenever i have a spare moment. sometimes that's at my office at 7:30 in the morning before i start working. sometimes that's on my lunch break. sometimes it's in the evening. occasionally it's on a saturday and rarely is it on a sunday. yes, i schedule about half of my posts. especially link-ups and series. at the end of march i knew i wanted to do a series on camping to go up in may, so i started those posts then. i finished them by the middle of april and scheduled them for the first of may. a series like that, that i get really excited about, i do immediately because that's when i'm excited to blog about them. i also schedule two weeks out for the 365 posts. this may seem like cheating, but i started the posts mid-December and have constantly stayed on top of it. planning for an extra post everyday can be stressful so i knew the only way i could do it was if i was planned ahead. that being said, i leave plenty of open days for posts that come up that i want to do right then. weekend recaps, things on my heart, i always post them the day after i write them. i can't be completely tied down to a schedule. where/how do you think of posts? inspiration comes from lots of places. work projects, bloggers, and pinterest inspire my posts. most of the time i just write and share things that are relevant in my life. there's not a whole lot i don't share on the blog. when do you read blogs/how often do you read blogs? reading blogs has become so easy because of my bloglovin app on my phone. yes, this is a plug for an app. i can easily skim through a post, go directly to the full post on the site, and comment there. waiting for a client meeting, i'll occasionaly whip out my phone and flip through to see who has posted. mornings and lunch times are when i read the most.